n this episode, Dave and Jon explore an agonizing dilemma many law school applicants face: how to determine the best school to attend if you’ve been accepted to several. Within that discussion they provide a wide variety of analytical tools for gathering and comparing data, run through the main factors that should affect your decision, and finally take a close look at five specific, real-life application scenarios and explain precisely how they arrived at their recommended choice for each. You can find the episode embedded below, but make sure to subscribe/follow and rate/review on Apple Podcasts, Spotify, YouTube, or Sticher if one of those is your preferred podcast platform! We are offering a special limited-time offer for any listeners who write a review or comment on any podcast platform. Take a screenshot of your review/comment and send it to lsatpodcast@powerscore.com and we will send you a special discount code to receive $20 off and free shipping (US and Canadian students only) for any of our 2019 LSAT Bibles and Workbooks! Offer is available until 3/31/19. Saint Motel’s My Type. 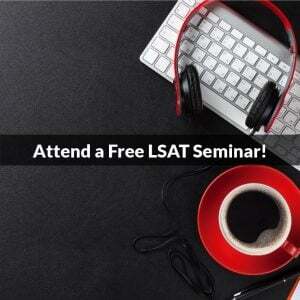 It’s a perfect fit when discussing how to choose the law school that’s most suitable for you. Lastly, a very brief tangent about Girl Scout cookies…which seems random until you realize Dave’s adorable daughter is currently selling them and anyone who’s a cookie fan can scoop up a few boxes through her order page! A new Law:Fully blog post on the LSAT India, which naturally leads to a discussion of that particular exam and its utility to non-Indian test takers. 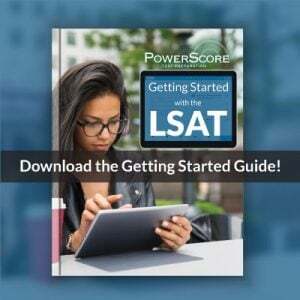 One key takeaway is that there are several free, unique LSAT India exams that can be downloaded and used to supplement the other tests available to students. A new LSAC podcast episode from Josiah Evans on admissions data thus far this cycle and how it compares to this time/period last year (transcript). Perhaps the most interesting talking point occurred near the end when Mr. Evans talked about upcoming changes to how the Writing Sample is administered. And a new Kellye & Ken webinar scheduled for March 4th on the topic of “The Present and Future of Law School Rankings” (a subject especially relevant to the remainder of this PodCast episode, turns out). Reserve your spot here. 17:46 to 23:57: The notion of school selection is first introduced, along with Jon lavishing Dave with some well-earned praise for the blog post that largely serves as the genesis of this particular episode. If you haven’t read that article, and then looked through the near-endless series of comments and Dave’s replies, take a moment to do so when you get a chance. It’s jam-packed with helpful information. 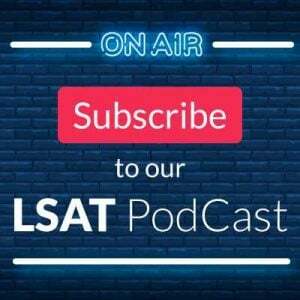 23:58 to 28:15: A whole host of analytic tools—basically places to find tons of detailed information about law schools to allow for more objective comparisons—are outlined, beginning with methods to see school stats such as LSAT and GPA medians, graduate employment statistics, total cost, and more. 35:58 to 41:59: The fourth and final talking point before looking at specific scenarios concerns less data-driven analysis and slightly more subjective measures, such as geography and climate, familiarity with and nature of school location (big city, small town, etc), preference of post-grad job type and region, and overall likelihood of happiness and success. 42:00 to 1:02:45: Scenario 1: Fordham ($105k scholarship) vs USC ($150k scholarship) vs UPenn (full price), with a desire to eventually work big law in New York. 1:02:46 to 1:10:45: Scenario 2: Penn State (ranked #74; full scholarship; attended for undergrad) vs UConn (ranked #50; half-tuition scholarship), with no desire for big law. 1:10:46 to 1:27:27: Scenario 3: Submitted by an applicant’s parent. Miami (full price) vs Loyola (full price) vs Capital University (full scholarship; a regional non-ranked school close to the applicant’s home), with no strong desire for big law. 1:27:28 to 1:36:45: Scenario 4: Tennessee (ranked #65; full scholarship plus a stipend and healthcare) vs Emory (#22; full price), with zero debt currently and a plan to remain in the southeast after graduating. 1:36:46 to 1:48:19: Scenario 5: UC Berkeley (full price) vs Chicago (full price), and looking to maximize the potential of landing a big law job post-grad. 1:48:20 to 1:57:40: Jon and Dave close out the conversation with a brief look at negotiations, both for potential admission and for more scholarship money. 1:57:41 to 1:58:35: A big thanks for listening! Be sure to subscribe, leave us a rating, and send us any questions or topics you’d like us to cover: lsatpodcast@powerscore.com.